Some people hate drinking water, like the taste of it turns them off but it’s by far the healthiest beverages out there. No extra vitamin and minerals in it but without its hydration properties you will literally die. 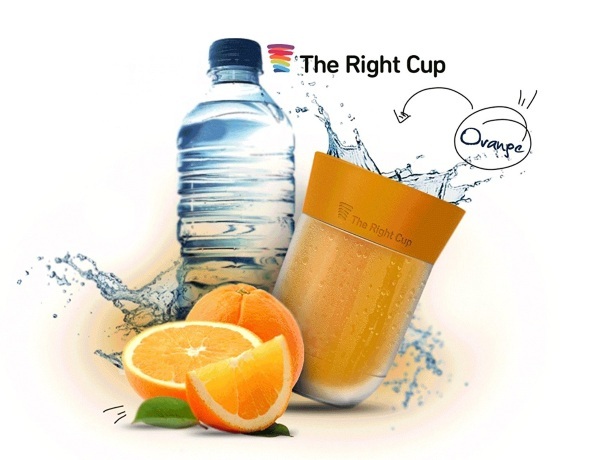 If you hate drinking water, check out the Right Cup, the cup that flavors your water. First of all, this cup isn’t flavored. It is scented and combined with its bright colors, it tricks your brain into thinking that the water you’re drinking has a bit of a taste when it’s actually just plain old water. Your brain thinks you’re drinking juice, even though you are fully aware that it is in fact water. The cup is perfect for grownups and children alike to help them to drink more water and may help to break an addiction or reliance on sugary drinks, all without additives. It can be taken anywhere as it doesn’t require batteries or anything extra to use. Just put water in it and you’re ready to go. A single cup is $29.95.